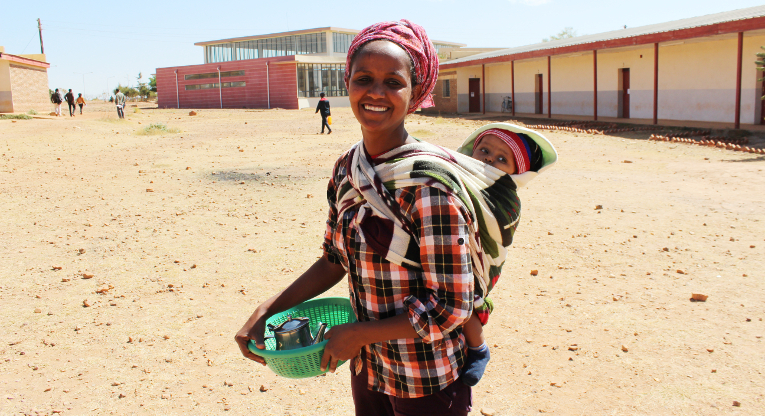 Miliete Tsefa, who works at one of the teacher training institutions in Eritrea, College of Education in Mai Nefhi, is standing with her child in front of a recently built campus library. Photo: Laura Vanhanen. Finn Church Aid (FCA) signed an official agreement with the Eritrean National Commission for Higher Education in Asmara, Eritrea mid-January. Eritrea faces a critical shortage of trained teachers and training institutions are in need of radical reform. 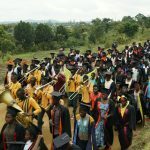 In recognition of Finland’s international reputation for quality education, the Eritrean government has sought FCA’s support to revitalize teacher education in Eritrea. Both parties have now agreed on a three year programme (January 2015 – December 2017). Finn Church Aid will begin work in Eritrea, working side-by-side with Eritrean educators to strengthen teacher education. The support for the existing teacher education programmes will take place in all training institutions in Eritrea. “The new agreement represents a welcome opportunity to renew partnership with Eritrea. Strengthening the teacher education is a great entry point to develop the education system as a whole”, says Antti Pentikäinen, Executive Director of FCA. “By improving the teacher education, we can have a far-reaching impact for the younger generation and the society as a whole. Finnish educational expertise has a lot to offer for this work”, says Tomi Järvinen, Director for International Cooperation at FCA. FCA is in the process of developing strategic partnerships with Finnish education experts to support the development of the teacher education program at the College of Education in Mai Nefhi. FCA is also currently recruiting a full-time education specialist to work in Asmara Community College of Education.